Adult, Intermediate and Junior members – there’s always a way to tune up your game! Here’s a selection of the programs we currently offer. Our active Junior members enjoy spring and fall lessons and summer camp! Sign up when you complete your membership registration. Each spring our Pros offer tune-up clinics including tips and training on doubles strategy and more….. Bring on the season and lots of great club matches! Tune up your strokes after the long winter by taking part in private or group lessons with a Pro. Time to get ready to hit the courts! 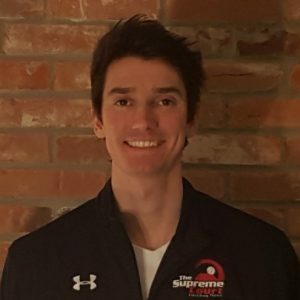 We are delighted that Alastair Millar of The Supreme Court runs the instructional tennis programs at Lawrence Park Tennis Club as our Program Director. Alastair is excited to be leading our coaching and programs for the season. Click here for a complete bio. Alastair will be joined by Valerie Ushanova, our Head Pro, who will be delivering great instruction and fun on the courts to our junior, intermediate and adult members. Please let Alastair (ProAlastair@LawrenceParkTennisClub.ca) or Valerie (ProValerie@LawrenceParkTennisClub.ca) know how they can help make your experience an incredible one at Lawrence Park!